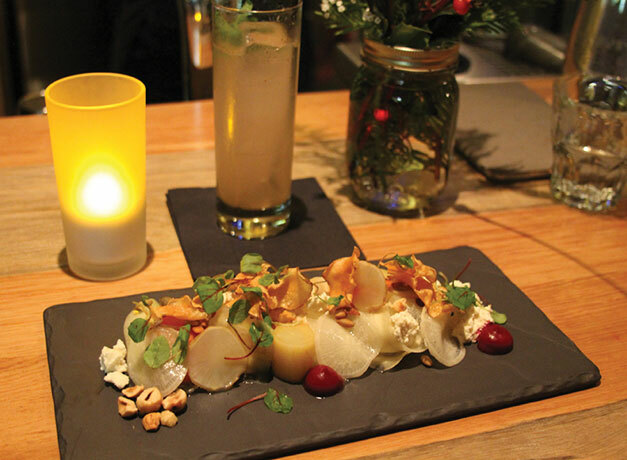 Whistler is not the first city that would come to mind if we were planning a haute cuisine dining experience. 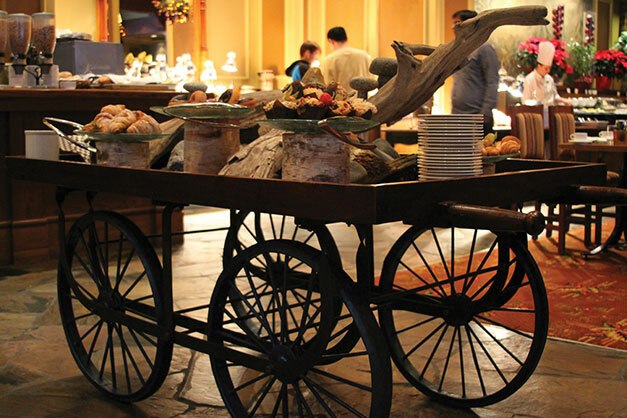 But despite a frontier location in the mountains of British Columbia, 75 miles north of Vancouver, and only a 10,000 year-round population, Whistler’s restaurants offer a diverse dining experience with an ethic of locally sourced foods. 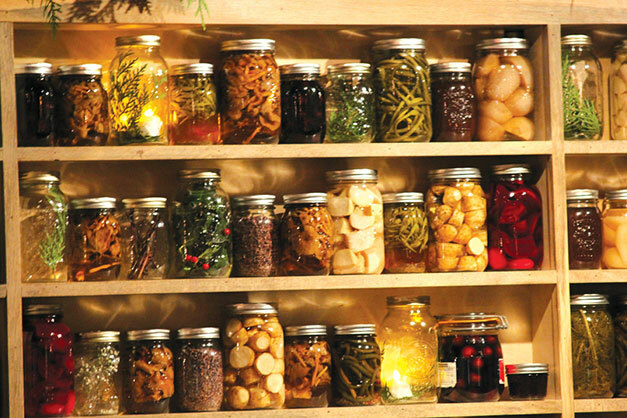 This is all made easy by virtue of the town’s location on the west coast near both the seafood-rich Inland Passage and the Okanogan Valley, home to Canada’s organic produce industry. 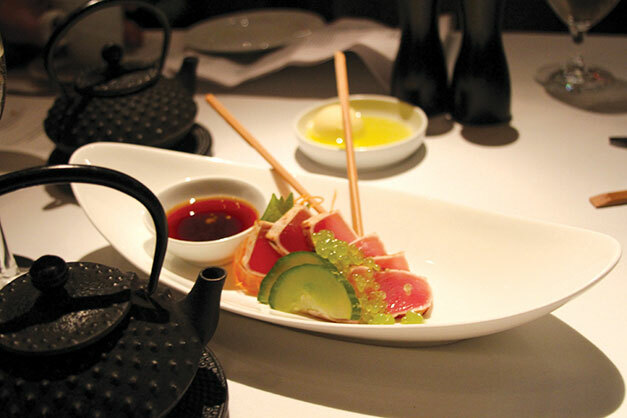 Whereas in Los Angeles or New York, dining on a five-star meal made from organic ingredients might be an outlier and big deal hyped to all the greenis, here it was simply how things are done. 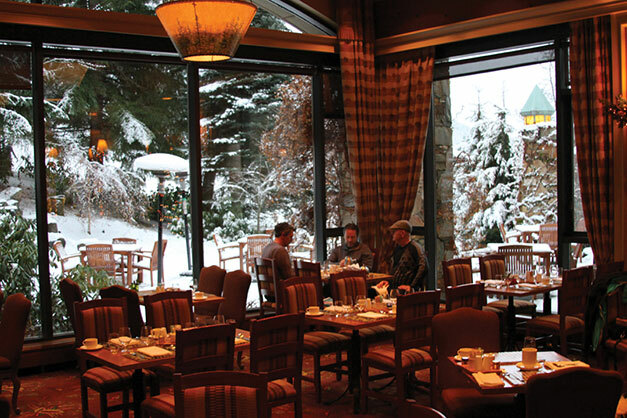 A fixture on the Whistler dining scene since 1981, Araxi, located in the village, has been molded by Chef James Walt who performed an impressive three times at the James Beard House in New York City. Taking the best from Canada’s local coastal waters, Araxi’s oyster bar, serving up to a dozen different varieties, is where over 1,000 of the bivalves are freshly shucked daily. Our own meal began with tuna tartar, sunflower squash soup and beet salad, followed by beef tenderloin with local potatoes, cheddar terrine with green beans and local mushrooms. However, the raspberry marmalade, tiramisu and egg and sugar cookies clearly put an exclamation point at the end of our meal. 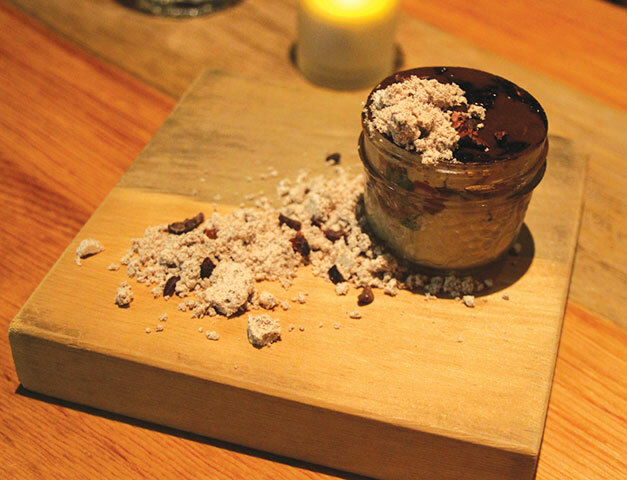 We dined at Bearfoot Bistro, which, for sheer add-ons, is the place. Yes, we enjoyed the confit sunchoke soup with elephant garlic and périgord truffle with fresh ricotta leek ravioli and hazelnuts. But Bearfoot Bistro is an amusement park of sorts. 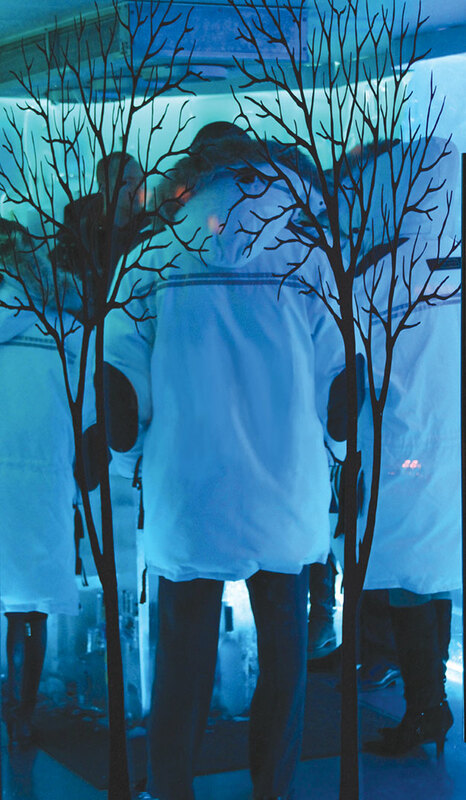 The vodka ice room is kept at -25 degrees F and, although a longevity lifestyle should keep temperance in mind, this notwithstanding, it happens to be the coldest vodka tasting venue in the world. Don’t worry. The restaurant has Canada goose down, Arctic-ready parkas to wear. 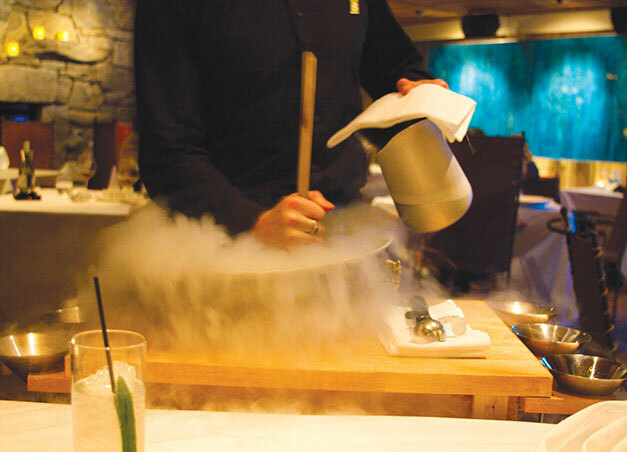 Their signature Nitro ice cream was made fresh at our table with Tahitian vanilla bean and sundae toppings. After this, we went down to the wine cellar to learn how to saber a champagne bottle. Our knife handler and youngest in the party sabered the bottle well and left with a lucky cork. We stopped over at Alta Bistro whose charcuterie selection included Alberta elk tartar, duck liver parfait and pickled quail with house-made mustard chutney preserve and lavache bread. 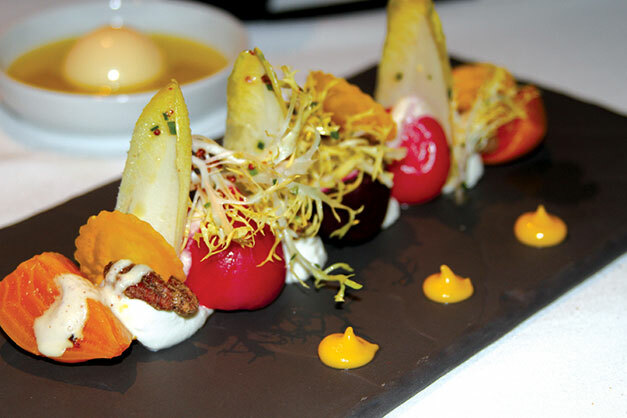 Led by Chef Nick Cassettari, an urban cultivator, Alta Bistro grows many of its greens onsite. Indeed, thanks to Whistler’s chefs, on our last night, sitting at the table, we realized collectively that we had all become gastronomically jaded and to recover we would have to simply ski. Mougin C, Henriet MT, Baulay A, Haton D, Berthelay S, Gaillard RC. Plasma levels of beta-endorphin, prolactin and gonadotropins in male athletes after an international nordic ski race. Eur J Appl Physiol Occup Physiol. 1988;57(4):425-429.